A diamond ring set to dazzle, flawlessly crafted with a gorgeous 18ct white gold body. A captivating 0.15ct centerpiece sits above a shimmering row of set stones, perfectly poised under head. 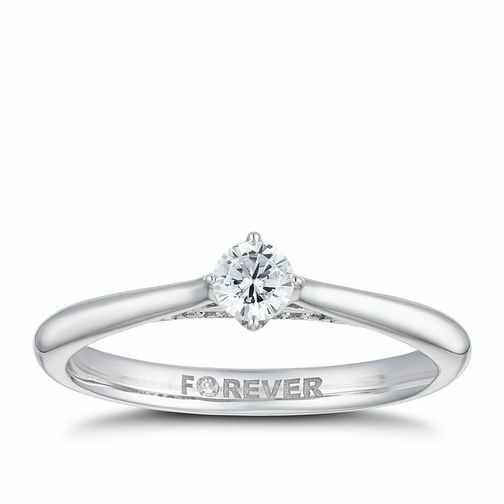 The word 'FOREVER' is engraved on the inside of the ring, with a secret sparkle taking the place of the 'O'. A special and sentimental touch, the perfect way to express how much a loved one means to you, forever and always. The total diamond weight for this ring is 0.20ct.